With a career that spans more than two decades of monumental hits, extensive tours, numerous accolades, exemplary albums, and over 30 million in record sales, The Smashing Pumpkins has emerged from being one of the inimitable vestiges of the grunge generation to one of the most laudable and influential bands of all time. Boasting an impressive roster of songs that contain elements of heavy metal, dream pop, shoegaze, electronica, progressive, psychedelic, folk and gothic rock, the Pumpkins have eclipsed their alternative rock contemporaries by maintaining their own distinct sound and relevance in the music world, without compromising their artistry. Under the helm of virtuosic bandleader Billy Corgan, the Pumpkins’ lineup has undergone a lot of intermittent changes over the years, but the current iteration consists of Corgan as the only the remaining original member on vocals and Jeff Schroeder on rhythm guitars. In 1985, a young man from Elk Grove Village, Illinois by the name of William Patrick “Billy” Corgan decided to relocate to St. Petersburg in Florida with his gothic rock band, The Marked (named after the conspicuous, port-wine stain birthmarks that both Corgan and the drummer, Ron Roesing, had) after the former found the Chicago music scene lacking. Influenced by the likes of Black Sabbath, Jimi Hendrix, Bauhaus, The Cure and Cheap Trick at a young age, Corgan developed an interest in music after reportedly spotting a Flying V guitar during a visit to a friend’s house. The lanky, honor student inevitably taught himself how to play guitar and decided to pursue music full-time after his high school graduation, despite several scholarship offers from different universities and a tuition fund left by his grandmother. Unfortunately, The Marked dissolved after failing to take off in the music business in Florida, leaving Corgan to move back to Chicago with his father. There, he became employed in a record store, where he began to formulate the idea for his next musical project, a new band influenced by The Cure and New Order to be named The Smashing Pumpkins. Unbeknownst to the budding musical revisionist, the prelude to his success had already begun and would soon yield an illustrious career, propelled by sheer will and talent of immense proportions. While working at the record store in 1987, Corgan met James Iha, a fellow Chicago native who was a guitarist for the band Snake Train at the time. The two hit it off musically and soon began collaborating, creating demos that Corgan described as “gloomy little goth-pop records.” In July 9, 1988, the duo played their first gig as The Smashing Pumpkins at a Polish bar called Chicago 21, with Corgan on bass and vocals, Iha on guitars and a drum machine for percussion. This set-up went on until Corgan met D’arcy Wretzky, a bassist from Michigan, outside a local club after the two got into an argument over The Dan Reed Network, a band that played during the show. Despite their initial tense encounter, Corgan was impressed by Wretzky’s attitude and recruited her to be the band’s bassist. On August 10, 1988, the newly expanded SP debuted as a trio, accompanied by a drum machine, at The Avalon in Chicago to a crowd of fifty people. In between jobs, the three of them soldiered on and rehearsed as a unit, while Corgan tried to secure them a gig at the legendary Cabaret Metro, a concert hall in Chicago known to have hosted future musical heavyweights at the time, such as REM, New Order, Depeche Mode, Sonic Youth, The Replacements, etc. It inevitably became the breeding ground for bands like Veruca Salt, Urge Overkill, Liz Phair and The Smashing Pumpkins. Cabaret Metro owner Joe Shanahan finally agreed to give the band a shot, on the condition that they replace their drum machine with a drummer. Jimmy Chamberlin, a jazz drummer from Joilet, Illinois, was introduced to Corgan via a mutual friend and was immediately added to the band. Chamberlin’s drumming style led the Pumpkins to shift to a heavier sound and after several rehearsals, the nascent quartet finally appeared in their first show at the Cabaret Metro on October 5, 1988. After their first original line-up debut at the Cabaret Metro, the Pumpkins refused to rest on their laurels and continued to rehearse, recording demos and writing at a prolific rate. The band worked tirelessly to improve their playing technique, disavowing Chicago’s underground punk scene at the time by forging new ground with their own unique sound, which was flowery and psychedelic with a metal edge. Despite being dismissed by several record companies on the basis of perceived lack of commercial potential, the band’s ineffable originality appealed to a growing number of new fans from a slew of gigs, garnering the band more professional cred. In November of 1988, the band played their fourth show at the Cabaret Metro by opening for Jane’s Addiction. The Smashing Pumpkins’ innate talent, hard work and perseverance soon paid off; in 1989, they made their first appearance on a compilation album titled Light Into Dark, which featured several alternative bands from Chicago. The following year, they released the single “I Am One” under the label Limited Potential, which immediately sold out, prompting them to release a follow up titled “Tristessa” under Sub Pop Records. Following the latter’s release, The Smashing Pumpkins became the subject of a bidding war by multiple record companies, which ultimately led to a contract with indie label Caroline Records, a subsidiary of Virgin. The rest is SP history. After signing a record deal with Caroline Records, The Smashing Pumpkins began to work on their first studio album with producer Butch Vig at his Smart Studios from December 1990 until March 1991, with Gish debuting in May 1991. Spanning 10 songs with one hidden track (“I’m Going Crazy”), Gish is a swirling mass of heavy drums, psychedelic crescendos and giant riffs, interlaced with hushed interludes. As it was the band’s inaugural album, Gish possessed a raw intensity that was a prelude to what the band could unleash. Reportedly named after silent film icon Lillian Gish, the album featured four songs that were re-recorded, namely “I Am One”, “Rhinoceros,” “Daydream,” and “Bury Me.” Co-produced by Corgan, Gish also yielded two official singles, “I Am One” and “Siva”. The song “Rhinoceros”, although not released as a proper single, received considerable radio airplay. Commercially, Gish fared better than expected, becoming the highest-selling independently released album of all time (until it was displaced by The Offspring’s Smash in 1994) and was certified platinum in 1999 under Virgin Records. By October 1991, the band released an EP titled Lull that contained four tracks (“Rhinoceros,” “Blue,” “Slunk” and “Bye June”) and formally signed with Virgin Records. In support of their recent release, The Smashing Pumpkins toured and opened for headliners like Red Hot Chili Peppers, Jane’s Addiction and Guns N’ Roses, while beginning preparations for their next album. The frenetic pace set by incessant rehearsals, recording and touring since their debut as a quartet soon began to take its toll on The Smashing Pumpkins, with each band member unable to rest and deal with mounting personal issues. Unbeknownst to the public at the time, Chamberlin was going through the destructive trajectory of drug addiction, while Iha and Wretzky were dealing with the fallout from their recent breakup. Meanwhile, Corgan bordered on suicidal, having to contend with his depression. Despite all these, the band retreated to Triclops Studios in Georgia and reconvened with producer Butch Vig once more to begin work on their sophomore album. During recording, Corgan’s exacting standards reportedly added more strain on his already-frayed relationship with his band mates by recording over most of the bass and guitar parts himself until everything sounded flawless. After months of grueling 12 to 14-hour shifts in the studio and constant infighting among the members, Siamese Dream was finally released on July 27, 1993 to stellar reviews. With its seamless blend of metal, psychedelic, shoegaze and dream pop, Siamese Dream became the springboard album that catapulted the The Smashing Pumpkins into a whole new level of success and became the band’s staunch statement against seemingly insurmountable odds at the time. A soaring medley of electrifying riffs, cathartic choruses and impressive drum work that showcased a polished improvement over Gish, Siamese Dream became a pivotal point in the Pumpkins’ musical journey and yielded some of band’s most indelible hits, such as “Today,” “Cherub Rock,” “Disarm” and “Rocket.” Upon its release, Siamese Dream received much critical acclaim, debuting at number 10 on the Billboard chart the following week and earning the band their first Grammy nominations (“Best Alternative Music Album” and “Best Hard Rock Performance”) at the 1994 Grammy Awards. On October 4, 1994, The Smashing Pumpkins released Pisces Iscariot, a compilation of B-sides and rarities that included a heartrending cover of Fleetwood Mac’s “Landslide.” Originally to be named Neptulius, Pisces Iscariot peaked at number 4 on the Billboard chart, reaching certified platinum status on November 23, 1994. Along with the compilation album, the band also released Vieuphoria, a mix of live performances mostly taken from the Siamese Dream tour and behind-the-scenes footage. It was originally released on VHS cassette format and had an accompanying soundtrack released as a promo CD titled Earphoria. After relentless touring to support these releases (including headline slots at the 1994 Lollapalooza and 1995 Reading Festival), the band was finally able to take a much-deserved time off before the next album. Corgan’s musical vision and inexhaustible wealth of ideas were instrumental in keeping The Smashing Pumpkins on track of their inexorable path to success. The workaholic front man productively utilized his time off from touring and penned an exorbitant amount of songs that would later on contain the bulk of the band’s most timeless hits. After foregoing Butch Vig this time, The Smashing Pumpkins decided to work with Flood and Alan Moulder as co-producers in a bid to change the band’s sonic direction. Corgan also sought to eliminate tensions that permeated their previous recording sessions by using two recording rooms to minimize idleness. As a result, the rest of the band had a considerable role in the album production and ended up with a staggering 57 songs upon completion, which would later be whittled down to 32, then 28. On October 23, 1995, The Smashing Pumpkins debuted their third studio album, Mellon Collie and the Infinite Sadness, a sprawling opus comprised of 28 tracks originally released as a double CD and triple LP format. Featuring a myriad of introspective lyrics, heady guitars, sweeping melodies, and a riveting orchestra, Mellon Collie and the Infinite Sadness is a bracing, artistic experience tinged with elegiac lamentations of fleeting youth. Conceptually designed into two albums that represent day and night, Mellon Collie and the Infinite Sadness is about “the human condition of mortal sorrow,” according to Corgan, as well as all the things he felt during his youth, but was unable to articulate. Yielding five hit singles (“Bullet With Butterfly Wings,” “Tonight, Tonight,” “Zero,” “Thirty-Three” and “1979”), Mellon Collie and the Infinite Sadness debuted at number 1 on Billboard 200 and became the best-selling double album to date, earning the band seven nominations at the 1997 Grammy Awards, with “Bullet with Butterfly Wings” nabbing the “Best Hard Rock Performance with Vocals” award. The Smashing Pumpkins indulged their flair for histrionics during the Mellon Collie and the Infinite Sadness era, producing some of their most visually arresting and compelling music videos like “1979,” “Thirty-Three” and the groundbreaking “Tonight, Tonight.” It was also during this time that Corgan debuted his new look, which featured the iconic black shirt emblazoned with the word “Zero” on it, as well as a shaved head, which he still sports to date. In 1996, The Smashing Pumpkins embarked on an extended tour in support of Mellon Collie and the Infinite Sadness, which was tragically cut short after the death of touring keyboardist Jonathan Melvoin on the eve of July 11, 1996, after he overdosed during a heroin session with Chamberlin. The incident resulted to the band firing Chamberlin and hiring drummer Matt Walker to replace him for the duration of the tour, along with keyboardist Dennis Flemion of The Frogs. In November 26, 1996, the Pumpkins released The Aeroplane Flies High, a five-disc box set of expanded singles and rarities from Mellon Collie and the Infinites Sadness. The band also resumed touring and recording, managing to contribute to various compilation albums and soundtracks, including the track “Eye” for David Lynch’s Lost Highway and “The End is the Beginning is the End” for Batman & Robin, with the latter winning “Best Hard Rock Performance” at the 1998 Grammy Awards. In February 1997, The Smashing Pumpkins went back to the studio to begin recording their fourth album, sans Chamberlin. Feeling limited by their guitar-driven hard rock sound, the band decided to shift to a more electronic orientation, veering away from their progressive rock experimentations and arriving at a hybrid of folk, electronica, and acoustic. The band rented a house in Los Angeles in hopes that communal living would foster a happier working environment, but to no avail. With the absence of Chamberlin, the band used a drum machine that involved a heavy technical process and lengthy recording sessions, with Corgan mostly working alone. At the time, Corgan’s birth mother had just passed away from cancer, leaving him to deal with her loss on top of Chamberlin’s absence, growing alienation from his band mates and musical burnout. After originally recording 30 songs for their fourth album, which almost became another double album like its predecessor, The Smashing Pumpkins released Adore on June 2, 1998. Produced by Corgan, Flood and Brad Wood, Adore’s final cut included 16 songs, all of which were penned and composed by Corgan. Generally subdued and intimate, Adore’s aural palette included mostly piano, acoustic guitars, synths and drum programming, giving it a stripped down and somber feel. Adore’s broodingly poignant lyrics reflect most of Corgan’s personal tribulations at the time, its soft elegies and ballads bordering on gothic prose. The album spawned two singles (“Ava Adore” and “Perfect”), its leftfield sound dividing fans and critics alike. Compared to its predecessors, public reception of Adore was lukewarm, generating fewer record sales than expected, but remains one of the band’s most underrated gems to date, selling more than a million copies in the US and triple that amount worldwide. In support of Adore, the band embarked on a low-key tour titled An Evening with The Smashing Pumpkins that included the likes of David Bowie, John Mellencamp, Melissa Etheridge, etc. and donated 100% of the proceeds to local charities, raising over $2.8 million with the aid of fans. After the Adore tour, Corgan immediately began working on new material for the next album. In October of 1998, the four original members of The Smashing Pumpkins reconvened and agreed that Chamberlin would reprise his role as the drummer for a final album and tour before the Pumpkins permanently disbanded. From there, Corgan planned a concept album with an accompanying tour that would utilize a musical theater approach, with the band playing embellished versions of themselves, based on how the press seemed to portray them. From this, a storyline was created revolving around the rock star character “Zero” (based on Corgan’s public persona), who renamed himself “Glass” and his band “The Machines of God” after hearing the voice of God. Fans of the band were dubbed the “Ghost Children” (a term still used to refer to real life SP fans). The Smashing Pumpkins entered the studio in early 1999 after acoustically tracking some songs at Corgan’s home in late 1998. They took a break from recording in April 1999 to embark on the Arising! Tour, which, upon completion, was followed by the sudden departure of Wretzky from the band. The unexpected development left the band to hire former Hole bassist Melissa Auf der Maur to replace Wretzky and discard the concept album idea, focusing on song development instead. On February 29, 2000, The Smashing Pumpkins released their fifth album Machina/The Machines of God, marking the return of drummer Jimmy Chamberlin and their final album before their first breakup. Spanning 15 tracks and yielding three hit singles (“The Everlasting Gaze,” “Try, Try, Try” and “Stand Inside Your Love”), Machina/The Machines of God saw the incarnation of the Pumpkins’ guitar-driven, hard rock sound, merged with the lyrical maturity and atmospherics of Adore. 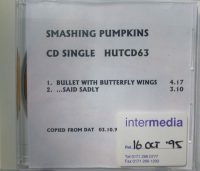 Produced by Corgan and Flood, it became the second lowest-selling album of the Pumpkins, despite entering the US charts at number three in its first week of release. Even though the album failed to gain traction, the band reconvened at the studio to finish the leftover tracks from Machina/The Machines of God and decided to release them independently for free via their fans and the internet, packaged as Machina II/The Friends & Enemies of Modern Music. Originally intended to be a double album, Machina/The Machines of God also included an extended storyline of Glass and the Machines of God. Written by Corgan, the series was continued online and released by the band while on tour under the moniker Chards of Glass, encouraging fans to solve the “Machina mystery.” Based on Vasily Kafanov’s paintings featured on the album’s artwork, the story of Glass and the Machines of God included a myriad of themes that range from astrology to alchemy, nabbing a “Best Recording Package” nomination at the 2001 Grammy Awards. It also sparked a viral marketing campaign in June 2001 featuring an online, alternate reality game that unveiled the news of an online animated series by Sony (based on Machina story), but was eventually shelved. On May 23, 2000, Corgan announced that the band would be breaking up by the end of the year, much to the dismay of fans. On December 2, 2000, The Smashing Pumpkins held their farewell show at the Metro in Chicago, the same place where they first debuted as a group 12 years earlier. Lasting for four and half hours, the show was attended by fans, friends and family and featured 35 songs chronicling the band’s career. After the Pumpkins’ farewell show, the band went their separate ways and became involved with other musical projects. Corgan remained the busiest of them all, collaborating with other artists, producing songs and forming his own group, the short-lived Zwan (with Chamberlin). He also released his own solo album, TheFutureEmbrace and his first book, Blinking with Fists, a collection of poetry. Chamberlin went on to form his own alternative rock and jazz-fusion project band called The Jimmy Chamberlin Complex, while Iha joined A Perfect Circle and Tinted Windows, as well as released his second solo album in March, 2012, titled Look to the Sky. Meanwhile, Wretzky has retreated from public life since leaving the Pumpkins, choosing to maintain a reclusive lifestyle. In 2001, a greatest hits compilation album titled Rotten Apples was released by the band, accompanied by a bonus disc of B-sides and rarities called Judas O. 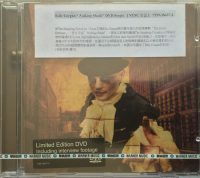 At the same time, they also released a DVD of The Smashing Pumpkins’ music videos titled The Smashing Pumpkins – Greatest Hits Video Collection (1991–2000). Upon releasing his solo record, TheFutureEmbrace, on June 21, 2005, Corgan announced on the same day (via full-page ads in The Chicago Tribune and The Chicago Sun-Times) that he was reviving The Smashing Pumpkins. On May 22, 2007, the band debuted a new touring line up in Paris during their first show since disbanding, retaining two of the original four members, Corgan and Chamberlin. With Jeff Schroeder on guitars, Ginger Reyes on bass and keyboardist Lisa Harriton, the new Pumpkins released “Tarantula,” a single from their forthcoming seventh album, on May 23, 2007, and performed at the Live Earth concert in New Jersey on July 7. Three days after their Live Earth appearance, The Smashing Pumpkins released Zeitgeist on July 10, 2007. Produced by Corgan, Chamberlin, Terry Date and Roy Thomas Baker under Reprise Records, Zeitgeist heralds the revival of the Pumpkins’ hard rock sensibilities, fused with uncharacteristic political consciousness. Aiming to produce a straightforward rock album, Corgan and Chamberlin scaled down Zeitgeist’s recording process into mostly analog and vetoed the use of computers or click tracks. Spanning 12 tracks, Zeitgeist debuted at number two on Billboard 200 and garnered mixed reviews, with Chamberlin’s exquisite drumming earning raves. The album also yielded two singles, “That’s the Way (My Love Is)” and “Tarantula,” and its opening track “Doomsday Clock” appeared on the soundtrack of Michael Bay’s Transformers. Despite most of the criticism stemming from the absence of half the original line up, Zeitgeist is commendable for its rock integrity and political insight (reportedly inspired by the band’s interest in the life and music of Fela Kuti). In January 2008, the band released a 4-song EP titled American Gothic, as well as the single “Superchrist” in March of the same year. In November 2008, The Smashing Pumpkins released the single “G.L.O.W.” and a feature-length documentary titled If All Goes Wrong. Soon, the band embarked on their 20th Anniversary Tour, with Corgan announcing around the same time the band’s intention to focus on making singles instead of full-length records, citing changing listening habits. In March 2009, Corgan announced Chamberlin’s departure from The Smashing Pumpkins via the band’s website. According to both parties, the split was amicable and Chamberlin went on to form the band Skysaw. Meanwhile, Corgan went on with the rest of the Pumpkins and formed a tribute band in July 2009 called Spirits in the Sky, in honor of Sky Saxon of The Seeds, who had recently passed away. Soon, Corgan announced that Spirits in the Sky’s drummer, Mike Byrne, would be taking over drumming duties for The Smashing Pumpkins as well. Byrne was chosen from thousands of applicants who auditioned after Corgan called for rehearsals to replace Chamberlin. On September 16, 2009, Corgan announced that plans were already underway for a concept album, with 44 songs to be released one download at a time for free, via the internet (with the downloads to be punctuated with eleven 4-track EP box sets, culminating to one giant release with exclusive content). Inspired by the Tarot, Teargarden by Kaleidyscope is an attempt to recapture the band’s psychedelic roots, featuring a heavier and more melodic sound, which soon yielded the first track, “Song for a Son” in December 2009 to moderate acclaim. In March 2010, bassist Ginger Reyes left the band, prompting an open call for bassists, which Nicole Fiorentino officially landed in May. Led by Corgan, the new lineup (consisting of Jeff Schroeder on guitars, Nicole Fiorentino on bass and Mike Byrne on drums) debuted at a benefit concert for Matthew Leone (bassist for Madina Lake) on July 27, 2010. On May 25, 2010, the band released the first physical EP of Teargarden by Kaleidyscope Vol. 1: Songs for a Sailor (“A Song for a Son,” “A Stitch in Time,” “Astral Planes” and “Widow Wake My Mind”), followed by the second EP Teargarden by Kaleidyscope, Vol. 2: The Solstice Bare (“The Fellowship,” “Freak,” “Tom Tom” and “Spangled”) on November 23, 2010. The Smashing Pumpkins also embarked on an American tour in July and went to other continents for the remainder of 2010, promoting the free downloads. In early 2011, the band released two more singles, “Lightning Strikes” (March 18) and “Owata” (May 4) with an accompanying music video (culled from a 12-minute short film by Robby Starbuck) for “Owata,” before deciding to rework the entire album concept and release format. In April 2011, Corgan announced that the current lineup would be working on a full-length “album-within-an-album” record as part of the Teargarden by Kaleidyscope project. On June 19, 2012, The Smashing Pumpkins released their 8th studio album, Oceania. Produced by Corgan and Bjorn Thorsrud, Oceania is thematically based on the alienation in love and culture that stems from today’s fast-paced lifestyle and advancing technology. Spanning 13 tracks and yielding two singles (“The Celestials” and “Panopticon”), Oceania boasts searing guitars, vigorous drum work and complex arrangements tinged with sonorous romanticism, clearly demonstrating a sense of cohesion from the current lineup. The Smashing Pumpkins’ eighth album debuted at number 4 on Billboard 200 and number 1 on the Independent Albums chart, marking it the band’s seventh Top 10 album to date. Oceania garnered mostly favorable reviews, heralding a new era in the band’s sonic direction. The band embarked on a series of tours all over the world in support of Oceania for the rest of 2012 and majority of 2013, playing at several music festivals like Glastonbury Festival and Dour Festival. During the course of their Oceania tour, The Smashing Pumpkins also performed at the Barclays Center in Brooklyn, which was where the band’s concert film Oceania: Live In NYC was recorded and inevitably made available to the public on September 24, 2013, in several video formats. In addition to touring and writing new material for upcoming albums, Corgan also undertook the massive task of re-mastering and reissuing The Smashing Pumpkins’ entire album catalog, with the Gish and Siamese Dream reissues released in 2011, Pisces Iscariot and Mellon Collie and the Infinite Sadness reissues in 2012, followed by The Aeroplane Flies High box set in 2013 and Adore in 2014. Sometime in 2011, Corgan announced that he had partnered with Baron brothers Jacques and Gabriel to co-found Resistance Pro Wresting (better known as R-Pro), a privately-run organization that mostly deals with professional wrestling promotion and management. Heading R-Pro’s creative division, Corgan has helped renew interest in professional wrestling by holding monthly events all over Chicago, with one of its shows raking in a record of over 1,600 attendees in an arena in Crystal Lake, Illinois. In February 2013, Corgan appeared in a local ad for Chicago-area furniture maker Walter E. Smithe promoting R-Pro wrestlers. R-Pro also partnered with Chicago Concussion Coalition and doctors from Midwest Orthopedics at Rush hospital to launch a concussion-awareness program that ensured its wrestlers undergo screens before and after each event, as well as the prohibition of certain wrestling moves to minimize the risk of concussions. In March 2014, it was announced that American television channel AMC was in talks with Corgan to develop an unscripted reality series about R-Pro, but the project was eventually shelved. In June 2014, Corgan and the Baron brothers were awarded the Jesse White Award for a wrestling-focused outreach program that they helped create as an outreach program for Chicago children. Not long after, Corgan announced his amicable departure from R-Pro in November, 2014. In April 2015, Corgan again embarked on another wrestling project, this time with Total Nonstop Action Wresting (TNA) as the Senior Producer of Creative and Talent Development, eventually taking over as the promotion’s new president in August, 2016. A mere 3 months later, Corgan left TNA over disputes about not being paid on time by Anthem Sports & Entertainment Corp and Impact Ventures, parent company of TNA Impact Wrestling, which the SP front man had initially loaned money to, in order to fund TNA. Eventually, Corgan reached a settlement with Anthem and TNA, with both parties announcing that they would be repaying their loan to Corgan. On May 1, 2017, Corgan reportedly purchased the National Wrestling Alliance (NWA), including its name, rights, trademarks and championship belts, which was confirmed by NWA president Bruce Tharpe later that same day. Far from being done with building his exhaustive list of accomplishments and side projects, Corgan also opened his own tea shop in Highland Park, Illinois on September 13, 2012. Since its opening, Madame ZuZu’s Tea Shop and Art Studio has become a social hub for tea drinkers and a popular fixture in Chicago’s art and music scene. At Madame ZuZu’s, Corgan often holds local events such as poetry readings and open mic nights for local artists and performers, as well as spins vinyl under the moniker DJ Ivory Tower on special occasions and holidays. In February 2014, Corgan performed an eight-hour electronic interpretation of Herman Hesse’s Siddhartha, a 1922 existentialist novella about a young man’s quest for self-discovery. Corgan’s lengthy set was webcast live and involved narrated passages of the novella set against a backdrop of various ambient drones and computer bleeps. In December 2016, Corgan announced the release of his Siddhartha performance in a 5-vinyl box set, with a limited number of 500 pressings available exclusively through Madame ZuZu’s online store. Each box set is hand-numbered and signed by Corgan, as well as includes one custom art print of ‘Siddartha’ by Linda Strawberry (also hand numbered), a personal Stylophone synthesizer and a black WPC hat. On April 26, 2017, Madame ZuZu’s online store announced the remaining stock, numbered 251-500 would become a second edition. The second edition of Siddhartha remains available at a reduced price, but does not contain an autograph. After wrapping up the Oceania tour, Corgan announced that he was commencing work on new albums that will still be part of the Teargarden by Kaleidyscope project and confirmed that two new albums were in the works for the Pumpkins after inking a record deal with BMG on March 25, 2014. He soon began recording the albums, dubbed Monuments To An Elegy and Day For Night, respectively, with guitarist Jeff Schroeder and producer Howard Willing while keeping the Pumpkins’ fan base updated via daily posts from then newly-launched website, The Panopticon: Smashing Pumpkins Nexus. On May 8, 2014, Corgan announced that he had enlisted the aid of Mötley Crüe drummer Tommy Lee to record the drum parts for MTAE and revealed a month later that drummer Mike Byrne was no longer part of the band, followed by bassist Nicole Fiorentino’s announcement that she was also not part of MTAE’s recording, but is open to touring in support of the album. On July 22, 2014, Corgan received the inaugural Vanguard Award during the first ever Alternative Press Music Awards show held by Alternative Press. During the ceremony, retired pro-wrestler CM Punk presented the award to Corgan in honor of the latter’s trailblazing career in music. On August 30, 2014, Corgan took a break from recording MTAE to perform an acoustic show at Chicago’s Ravinia Festival. A resounding success, the event featured a career-spanning, 31-song acoustic set accompanied by Shroeder and NYC rock band Ex Cops and was punctuated by a rendition of Zwan’s “Of A Broken Heart,” along with some members of R-Pro’s wrestling league. Soon, Corgan, Schroeder and Willing finished the recording of MTAE and premiered the album’s first single “Being Beige” on October 20 via Soundcloud to favorable reviews. The debut track’s resounding success was subsequently repeated by the follow-up single “One and All (We Are)” on November 5, 2014, with two more tracks preceding MTAE’s full release date, revealed as “Tiberius” and “Drum + Fife” respectively. Soon after, Corgan announced that the Pumpkins would begin touring in select European and South American countries in support of MTAE, with Mark Stoermer of The Killers filling in on bass and Brad Wilk of Rage Against the Machine filling in on drums for the new touring lineup. One of the Pumpkins’ shows during the tour was especially memorable for fans, with goth-metal artist Marilyn Manson’s surprise appearance during the band’s gig in Koko, London on December 6, 2014. A month later, the music video for “Being Beige” premiered worldwide, garnering favorable reviews from old and new fans alike. Directed by Brad and Brian Palmer, “Being Beige” is the first music video to feature the band performing again since the Zeitgeist era. December 9, 2014, marked Monuments To An Elegy’s physical release date and official full album debut. A day after the release, the band performed on Jimmy Kimmel Live!, with Corgan holding multiple album signings and several interviews beforehand for the album’s promotion. Featuring nine tracks of blazing guitar hooks and anthemic choruses, Monuments To An Elegy’s commercially viable appeal and uncharacteristic brevity sets it apart from most of its predecessors. Noticeably, Corgan dials down his prolific songwriting to shift the focus on MTAE’s synth-infused guitars and drumming ferocity. Somehow, the album succeeds in momentarily encapsulating the Pumpkins’ unfolding sonic evolution into a seamless and enjoyable listen without pandering to the masses. Meanwhile, Corgan announced in February 19, 2015, via The Panopticon, that the recording of Day For Night is still ongoing – furthermore, its working title has been scrapped, rendering the now unnamed album slated for a later release date. In late 2015, Corgan announced that the band would be co-headlining a tour of North America with Marilyn Manson, dubbed as The End Times Tour. Coined from an amalgamation of two song titles from each band (The Smashing Pumpkins’ “The End Is The Beginning Is The End” and Marilyn Manson’s “Astonishing Panorama Of The Endtimes”), the tour began on July 7, 2015 in Concord, California and concluded on August 8, 2015 in Cincinnati, Ohio. Prior to the co-headlining dates, The Smashing Pumpkins were already in the midst of a short acoustic trek, featuring shows with drum machines and tapes in lieu of percussion, dubbed as the In Plainsong Tour. When plans for recruiting a drummer prior to The End Time Tour fell through, Corgan enlisted the aid of original Pumpkins drummer Jimmy Chamberlin to reunite for the shows, much to the delight of fans. After the conclusion of The End Times Tour, the band announced on February 1, 2016, that it would continue with the Pumpkins’ In Plainsong Tour with Chamberlin once more on drums and will feature artist Liz Phair as the opening act. Upon the tour’s completion, the band also made plans to record in the studio to explore new sound in an acoustic setting. On February 25, 2016, Corgan posted a video on the bands official Facebook page to give an update of the writing process of the new songs from the upcoming album – as of writing, the video remains to be the last news in connection with said album. Before the second In Plainsong Tour kicked off in March 2016, Corgan embarked on a journey with no discernible route across America, which doubles as a documentary of sorts, involving random performances in unannounced sporadic venues, as well as fan interactions and interviews. On March 26, 2016, original co-founding member James Iha joined Corgan, Schroeder and Chamberlin onstage unannounced at one of the band’s shows at The Theatre at Ace Hotel, Los Angeles. Marking the former guitarist’s first appearance with The Smashing Pumpkins after 16 years, Iha performed a few songs, including “Mayonaise”, “Whir”, and “Soma”, sending Pumpkins fans in a tizzy over what this brief reunion could possibly mean for the band’s future. Iha then proceeded to perform twice more with the Pumpkins’ for the duration of their shows at The Theatre at Ace Hotel and at the Civic Opera House in Chicago, triggering an outpouring of hope, support and excitement from SP fans worldwide. Iha and Chamberlin’s recent appearances proved that The Smashing Pumpkins’ original members have mended their rift, as confirmed by Corgan himself in a video posted on Facebook. In the video, Corgan acknowledges that he’s also reestablished contact with the reclusive Wretzky for the first time in 16–17 years, officially reuniting the entire band again, at least in terms of communication. As for the possibility of ever reforming The Smashing Pumpkins’ original lineup, Corgan remains cautiously optimistic, stating that they are in no rush to reform just for the sake of commercial viability and are still in the process of rebuilding their fractured friendships. An intensely private individual, Corgan prefers not to divulge much information about his personal life, but on November 16, 2015, it was reported in several news media outlets that Corgan became a father to baby boy Augustus Juppiter Corgan with his longtime girlfriend, Chloe Mendel. In addition to the numerous milestones Corgan has achieved both professionally and personally over the last few years, the latest significant occasion occurred last March 17, 2017, which happens to be the The Smashing Pumpkins frontman’s 50th birthday. Coinciding with his birthday month, Corgan announced that he’ll once again embark on a month-long cross-country tour of America, aptly dubbed Thirty Days (#ThirtyDays), which will be documented on social media. In conjunction with Thirty Days, three additional projects are also in the works. The first project is titled 50 by 50 (#BC50x50), in honor of Corgan’s 50th birthday, and will essentially be a collection of 50 of Corgan’s favorite songs from his extensive catalog to be put up as he goes along and will involve a great deal of fan interaction and feedback. Tentatively, Corgan intends to record all songs into a compilation album at the end of the year. The second part of the project entails making an album of cover songs made up of 10 – 12 songs, and finally, the third aspect of the project involves Corgan writing for a new album. As of writing, completion of all of Corgan’s most recently announced projects remains to be seen, but as always, Pumpkins fans are invariably aware that any BC undertaking is eventually worth the wait.